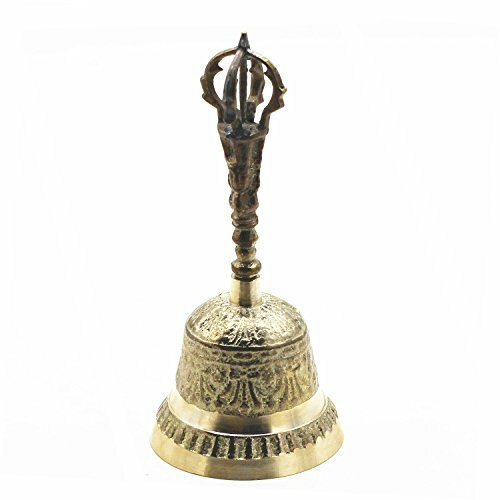 ZHU YU CHUN 6.5'' Hand Bell - Brass Antique Handbell For School Reception Dinner, Shop, Hotel Service, Meditation Prayer, Pet Feeding And Home Decoration by ZYC at Bass Brass. MPN: 4336349223. Hurry! Limited time offer. Offer valid only while supplies last. Material: Made of high quality Brass. Vintage style. Great For School Reception Dinner, Shop, Hotel Service, Meditation Prayer, Pet Feeding And Home Decoration. These can be used as a decorative centerpiece in your living/Dining room or placed at bedside or even on a tabletop. Ideal for weddings, parties, special events. If you have any questions about this product by ZYC, contact us by completing and submitting the form below. If you are looking for a specif part number, please include it with your message.